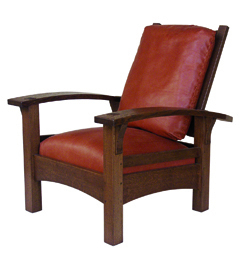 Rick Badgley is a furniture maker who focuses on quality reproductions or modified Arts & Crafts style furnishings. He is passionate about continuing the legacy of this era and its master craftsmen, creating beautifully hand-crafted pieces for his clients’ homes. 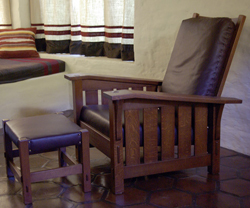 He has long been attracted to the strong, simple lines of Gustave Stickley’s masterpieces and many of his furnishings are original Stickley designs. Roof of Rick’s underground studio…with wildflowers starting to bloom. 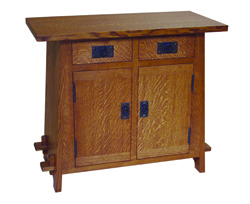 This entry was posted in Rick Badgley, Studio Tour 10 and tagged Rick Badgley, Stickley furniture, Three Rivers Artists' Studio Tour on February 15, 2012 by Elsah. 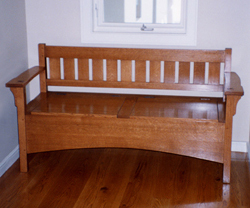 RB Woodworking is owned and operated by Rick Badgley, who has designed and crafted custom woodworking projects for thirty years. 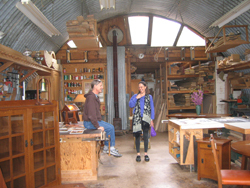 Working out of his one-man shop, located in Three Rivers, California, in the foothills of the Sierra Mountains, Rick has produced pieces for a diverse clientele. 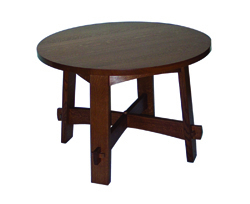 While still producing custom works, today RB Woodworking focuses on quality reproductions or modified Art & Crafts style furnishings. Rick Badgley is passionate about continuing the legacy of this era and its master craftsmen, creating beautifully hand-drafted pieces for his clients’ homes. 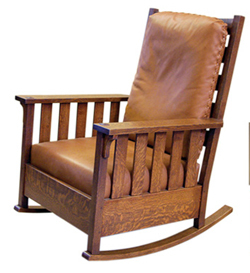 He has long been attracted to the strong, simple lines of Gustav Stickley’s masterpieces, and many of his furnishings are original Stickley designs. 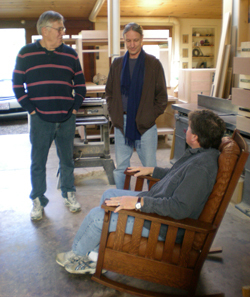 In the tradition of these artisans, Rick began by individually selecting the quartersawn white oak to be used on a piece. The finishing process includes fuming and staining for color with hand-rubbed oil and wax finishes. 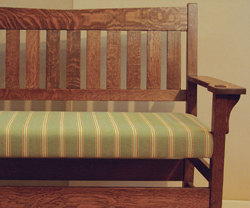 Seat cushions are natural leather, and hardware is hand-hammered copper supplied by arts and Crafts Hardware. When creating reproductions, Rick can work from actual dimensions or extrapolate them from photographs, but it is his intention to always maintain the integrity of the original piece. If a custom design is requested, or if a client requires a specific piece to fit their collection, the process involves a simple phone call. All calls are welcome. 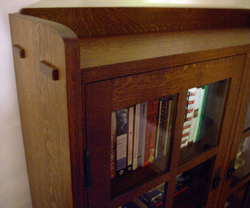 This entry was posted in Rick Badgley, STUDIO TOUR 9 and tagged Gustav Stickley, Rick Badgley, Three Rivers Artists' Studio Tour on February 28, 2010 by Elsah.